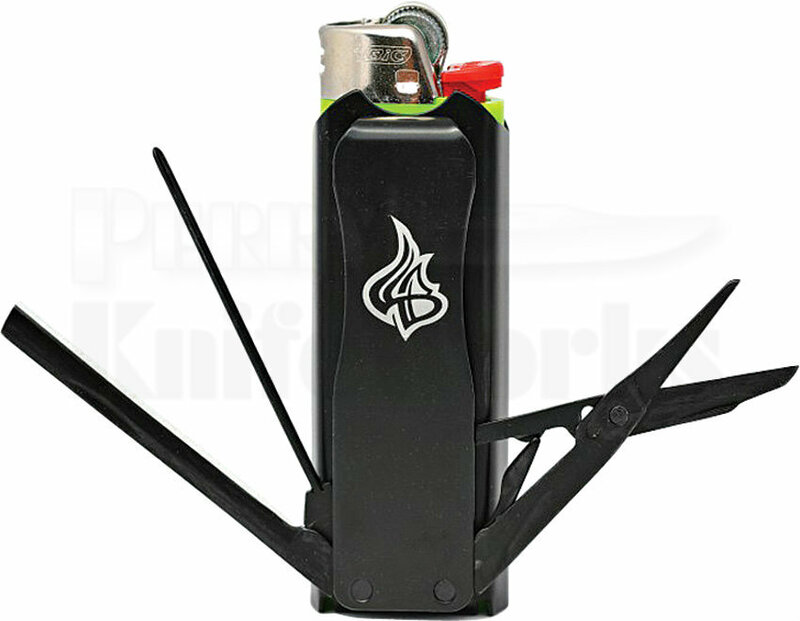 Lighter Bro Multi Tool Stealth - 2-3/4" overall. Fits a regular bic or clipper lighter (not included). Matte black finish Japanese 420 stainless construction. Includes knife, micro screwdriver, bottle opener, scissors and key ring.